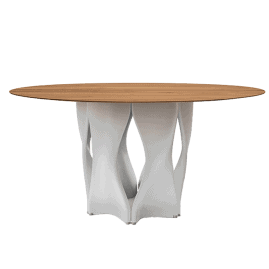 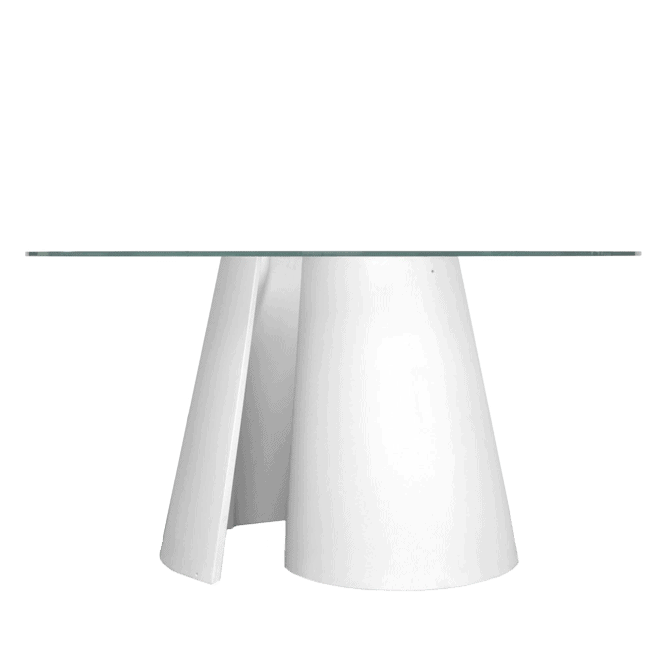 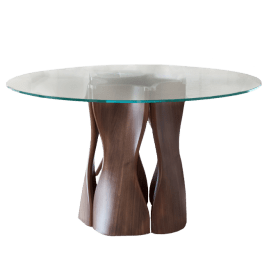 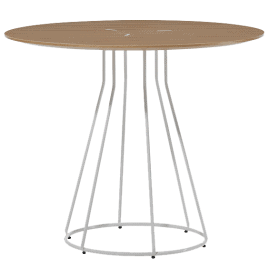 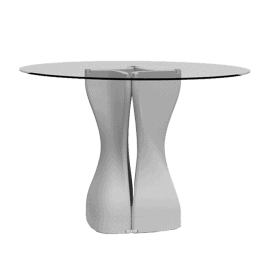 Table with base in Cristalplant. 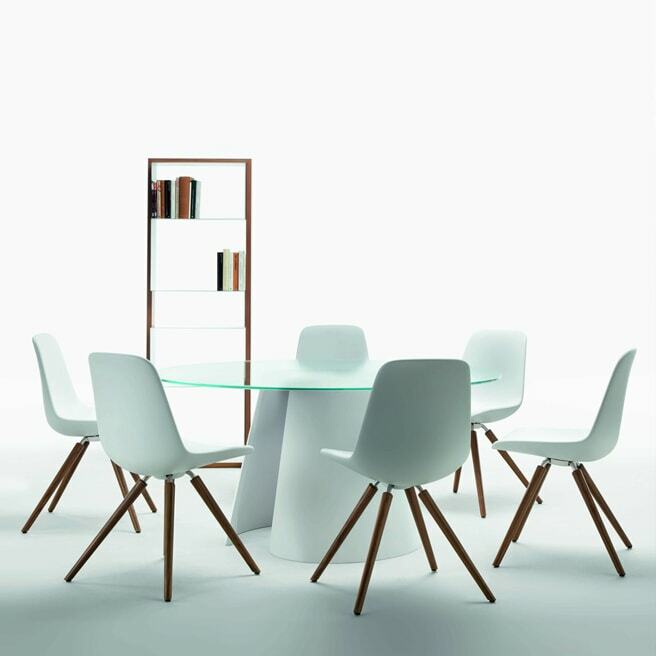 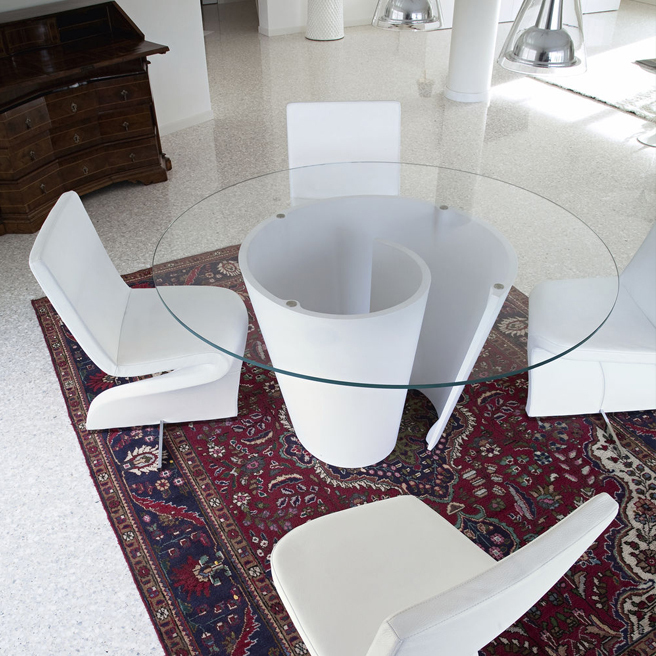 150 cm diameter glass top with 5 cm thick white lacquered top layer. 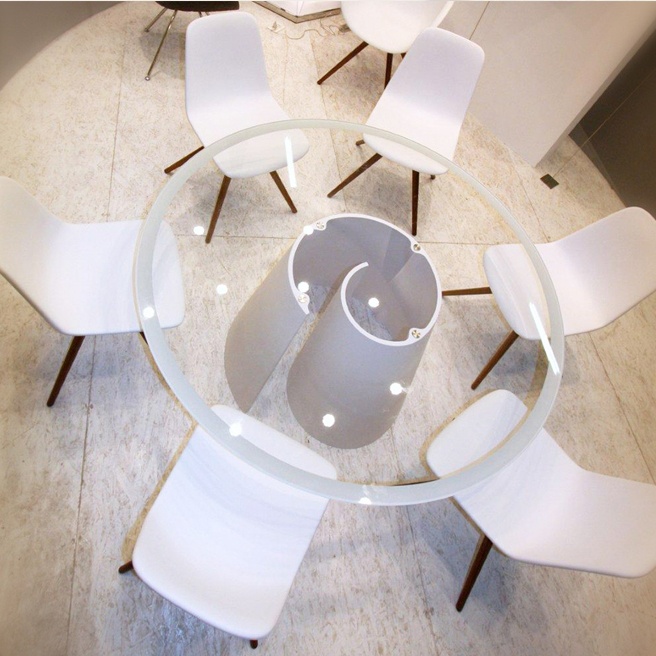 Cristalplant is a high technology composite material consisting of natural minerals, pure polyester and acrylic polymers. 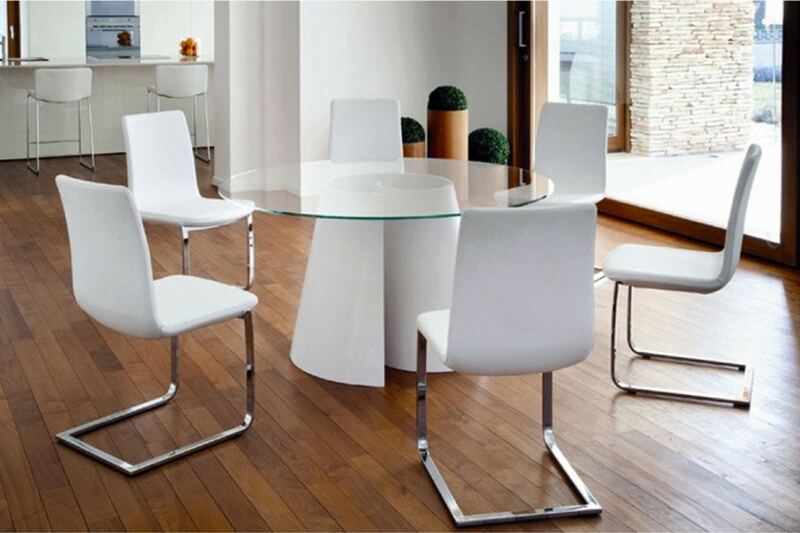 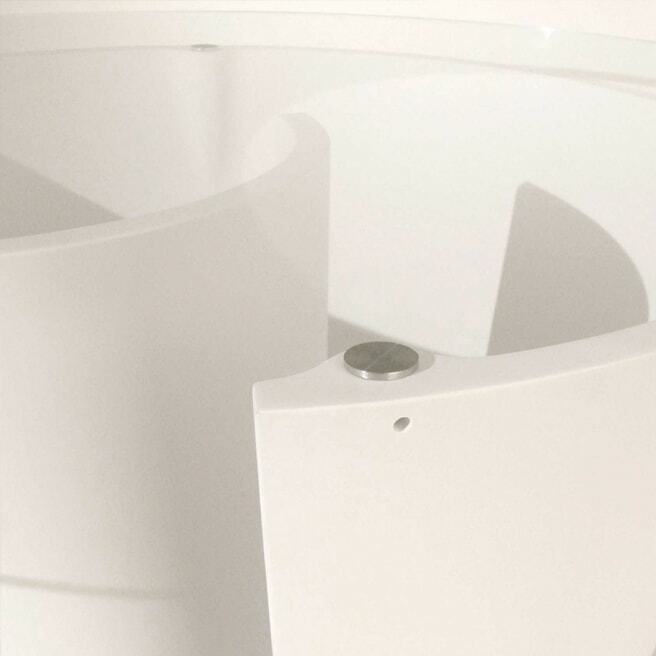 It is 100% recyclable and falls under thecategory of environmentally friendly materials.